There are all sorts of fantastic physical and visual sensations involved in skiing: floating through knee-deep champagne powder in a wide open bowl (hopefully including a face shot or two), carving railroad tracks into a perfectly groomed trail, cruising through a soft mogul run, gliding through a quiet unbumped glade, looking out over a peaceful valley, staring up at dramatic mountain peaks, etc. I could go on, but one of my favorites is skiing near a large body of water, especially if it’s unfrozen. This may be due to the fact that I’m a Pisces and conventional wisdom says that I’m instinctively drawn to water: swimming in it, skating on it, jumping into it, even just looking at it. If I can be near water while enjoying my favorite sport, well, now you’re talkin’! I’m sure that in the course of your travels over the years, you’ve visited a few of these water-enriched ski areas already. Off the top of my head – in the western U.S. there are a number of resorts around stunning Lake Tahoe (especially Heavenly); in Idaho, Schweizer Mountain is just a few miles from beautiful Lake Pend Oreille. Further east, in Michigan’s remote Upper Peninsula, there’s Mount Bohemia alongside Lake Superior. In Quebec, you can enjoy long-distance panoramas of Lake Memphrémagog from Mont Orford and Owls Head, and it goes without saying that the jaw-dropping six-mile-wide view of the St. Lawrence River from Le Massif should be a bucket-list item for any skier. On the other side of the Atlantic, I’ve been blown away by views from ski mountains nestled around beautiful Lake Luzerne in the Swiss canton of Schwyz, an hour south of Zürich. Last winter, I found one in France that’s in that same league: Thollon les Mémises in eastern France. 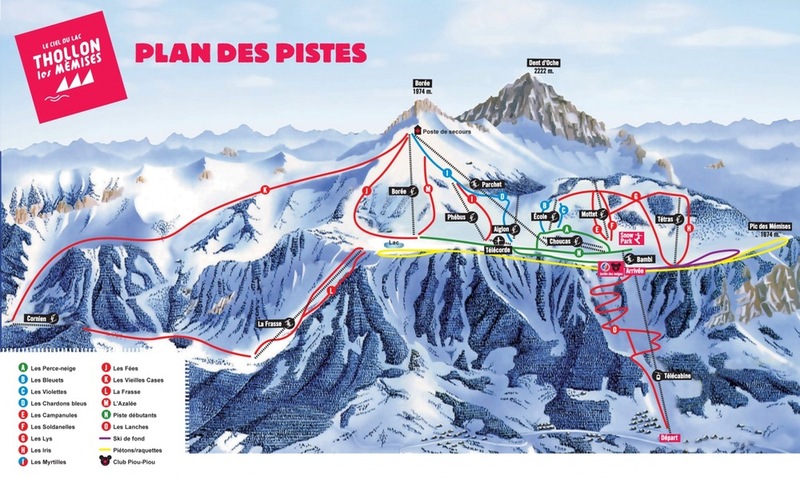 I stumbled onto this off-the-beaten path ski area while planning my last two visits to the French Alps. Just an hour from Geneva airport, I intended to spend my first day there getting over jet lag following an overnight flight from New York, but both times the weather didn’t cooperate – what’s the point of going to a place with lake views if it’s cloudy? Fortunately, last March, the third time was the charm. 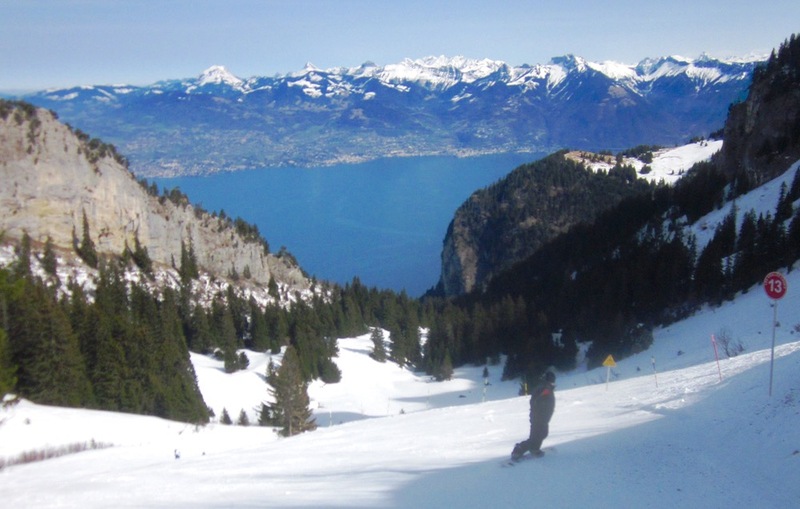 While returning to Geneva from Valais, a top-shelf ski region in the far west of Switzerland, I nabbed an ideal forecast — a warm mid-March day with turquoise blue skies — and adjusted my itinerary accordingly. 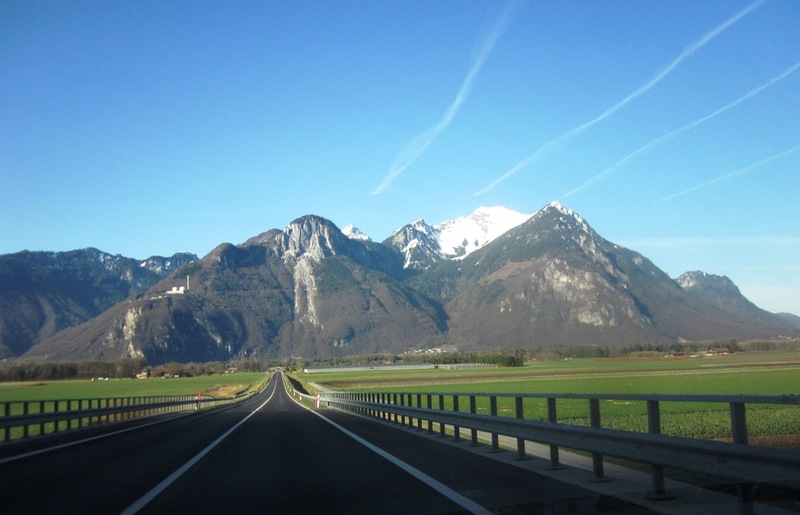 The adventure began when I left Highway 9 at the eastern end of Lake Geneva to drive due west on a two-lane road right along the lake before climbing up to Thollon les Mémises. Although the resort is small by Alps standards — with 30 miles of marked trails —it’s big enough for a northeastern skier to spend a day. After taking the tram to mid-mountain, it was already clear that the slogan (“Between Sky and Lake”) is more than fitting. 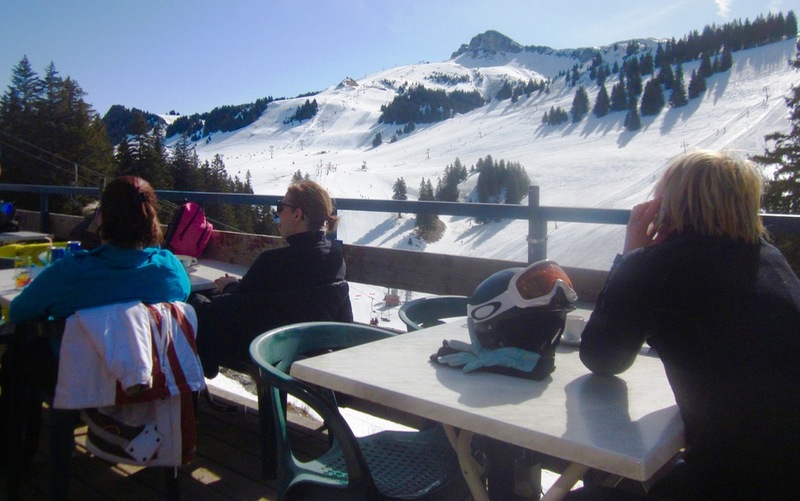 Being at a comparatively low elevation, Thollon les Mémises was already in spring mode and it didn’t appear that they got the recent five-foot dump that the Portes du Soleil region did a short distance away to the southeast. At 10 am, the snow was still pretty bulletproof, so I took a quick photo tour on skis to kill time until things softened, which I guessed wouldn’t be until early afternoon given that most of the terrain faces dead north. The clientele was exclusively local families — I saw not one other person taking photos the entire day — and I was amazed by how tiny kids and teenagers alike were ripping through gates on the concrete surface like Jean-Claude Killy with zero complaints. Another interesting point: while it may not come across in the photos, if you subtract the view of the lake, had I been dropped blindfolded into the ski area, I would’ve guessed to be in northern New Mexico. I liked it so much (see video, not mine, shot almost exactly one year earlier on a similar spring day), that I did it again twice. By 2 pm, I traversed back to the mid-mountain restaurant to eat a delicious lunch, drink a few beers, and tan my face on the terrace. I finished the afternoon with a nicely pitched run down to the base. With so many world-renowned ski regions nearby, Thollon les Mémises could be considered a novelty for a ski tourist coming in from across the ocean. That said, it’s an impressive way to spend a day, take some photos to impress people back home, and you can’t beat the price of the day pass, about $22, which is the normal rate, not an end-of-season special. 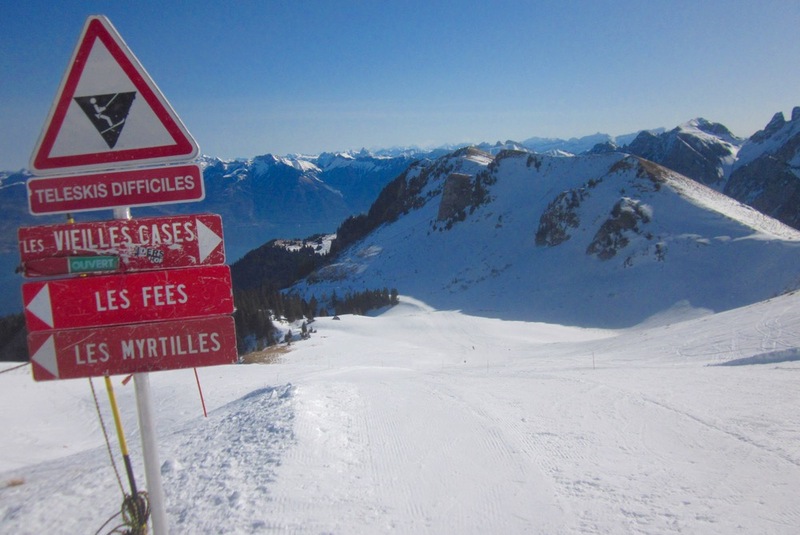 Thus, my advice for those with a predilection for skiing near water – the next time you use Geneva as a gateway airport for a trip to the Alps, put Thollon les Mémises on the agenda. While you probably won’t hear about it through the usual channels, it’s absolutely worth the short detour.